The Tacofino lamps are nearing completion. Check back for finished work in the next few weeks. 2016 started out slow but things have really taken off and there isn't much sign of a break anywhere in sight. But that's OK! 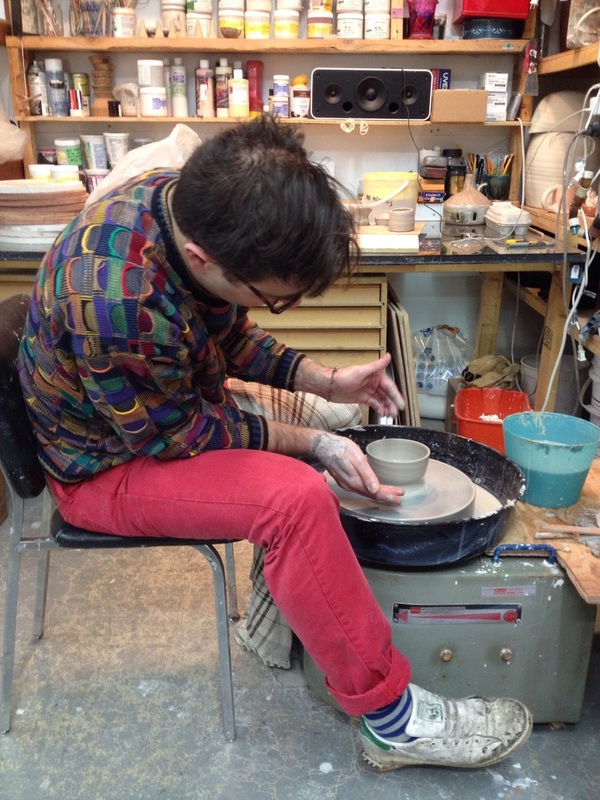 I'm enjoying more time than ever in the studio, as well as my great teaching gig at Douglas Park CC. Steve and I have been doing a lot of collaborating. We recently participated in a group show curated by Jasmine Reimer titled Bend Towards the Sun, Bring the Sky Beneath Your Feet, at Dynamo (Vancouver BC). Our collaborative sculpture--lets start a lighting company, was displayed along side work by Les Ramsy, Johnny Burgess, Jessica Groome, Jenine Marsh and Ella Dawn McGeough. I will be participating in another group show, this one titled Luminescence, on March. 19th at the Deer Lake Art Gallery (Burnaby, BC). There are over 20 artists participating in the celebration of the spring solstice with works cantering around the theme of light. The work I chose is a piece I produced last fall titled Heavy Star Fluff (image below) . Also in the schedule is a new lighting project for a 3rd Vancouver Tacofino that will be opening in June! I am still in the beginning stages. Check my previous post for images of prototypes and work in progress. And through the midst of it all Steve and I still have two kiddos who need some family time so we regularly have studio days with the girls. And there are snacks. Everyone has to do some wheel work too--I'm training for future labour. Freddie! Sporting her ice fairy cape. Bernie! (Costume design by big sis). When I asked her what she was making she said "a horse!". And Steve too! He popped his wheel cherry and it turns out he's a natural. Collaborating with Wolke Design (established by Madison Killough and Patrick Campbell) on a cup and saucer line has produced this little gem. They are launching their Indigo coat later in March. Check http://wolke.ca/info or http://iconosquare.com/wolkestudio for images and information. This is my next exploration. . . however I have not had success with firing at this point. The black clay bloats and forms bubbles on the surface. 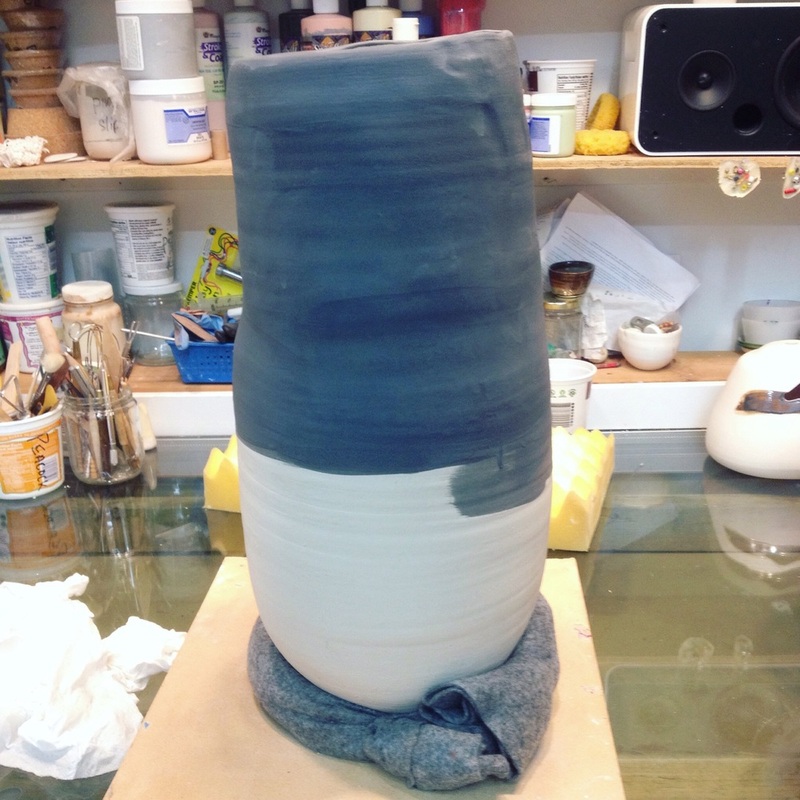 This is black clay with polar ice porcelain in white, pink, and blue. I'm trying another prototype but I have a feeling I won't be working with this clay anymore--time to find something that doesn't require so much effort. That's it for this time. Check back soon for more images of the Tacofino lights in progress.